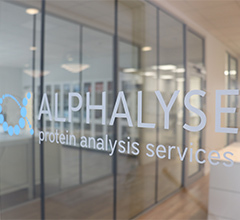 Since 2014, Alphalyse has lead a consortium developing groundbreaking HCP analysis using mass spectrometry. 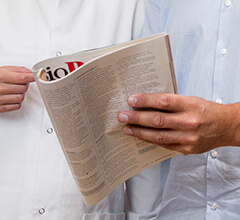 Together, we have investigated and developed novel SWATH LC-MS/MS methods. Thus, we now offer these methods for identification and quantification of process related impurities (HCP) in vaccine samples. – Even down to low ppm level. 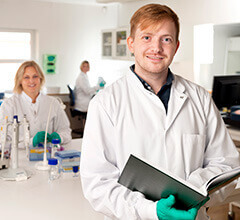 The consortium is a close collaboration; Professor Peter Højrup from The Protein Research Group at SDU provided expertise in protein analysis by LC-MS/MS. 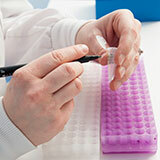 Statens Serum Institute has provided vaccine samples for the analysis as well as expertise in current ELISA based methods for HCP quantification. Eventually, Alphalyse presented our newest methods to identify and quantify process related impurities by LC-MS/MS at the world-leading HCP conference arranged by BEBPA* in May 2016, Lisbon and in May 2017, San Francisco. 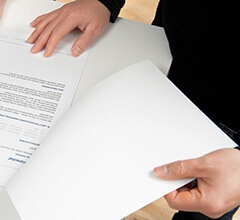 Results are also described in our application note “Host Cell Protein Analysis of Downstream Process Samples by SWATH LC-MS/MS”.